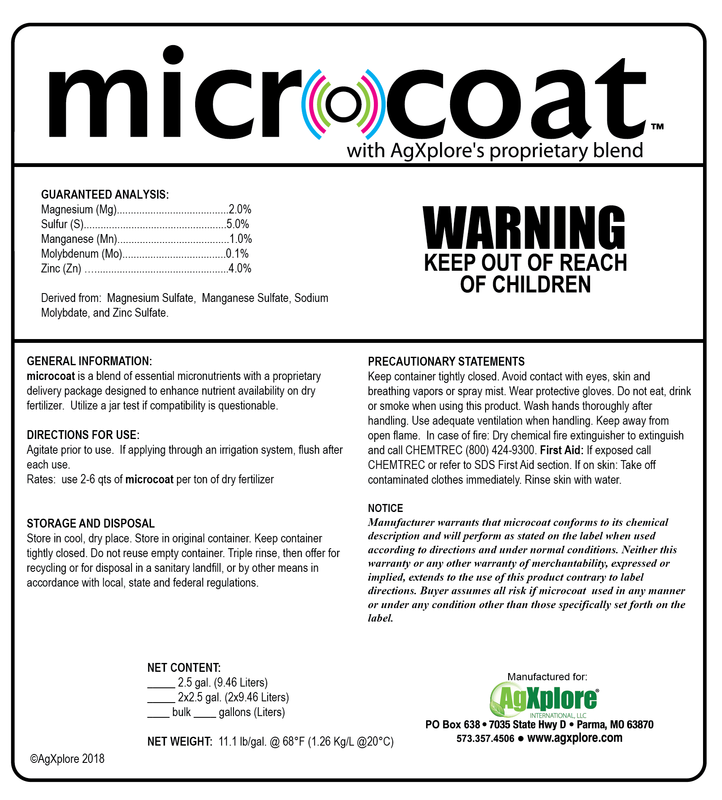 microcoat is a micronutrient blend designed for dry fertilizer. 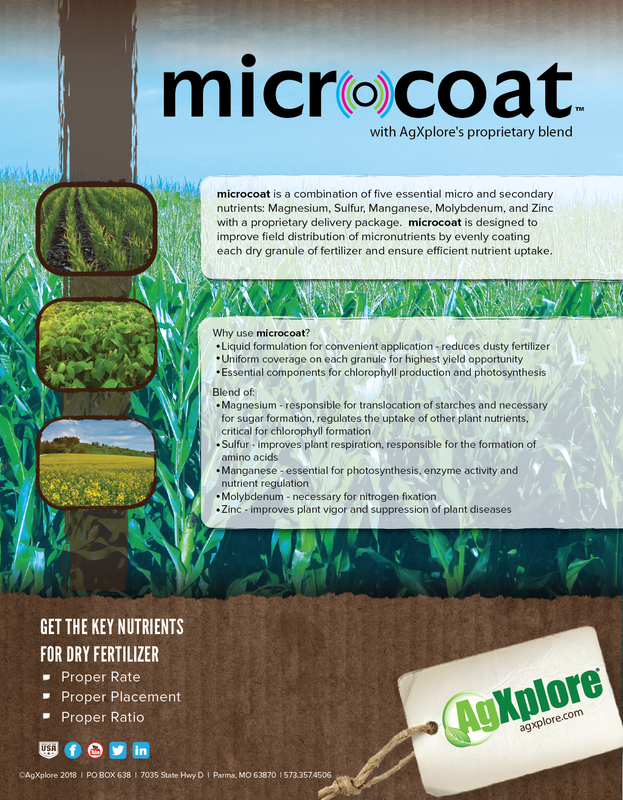 microcoat is a liquid formulation – it’s convenient to use and provides an even coating on each granule of fertilizer. The custom micronutrient blend is essential for chlorophyll production and photosynthesis resulting in the highest yield opportunity.